Balao is a Spanish submarine name. Name of an American submarine used in the Second World War that technologically improved its predecessor, Gato class. Balao is the name of a city in Ecuador. 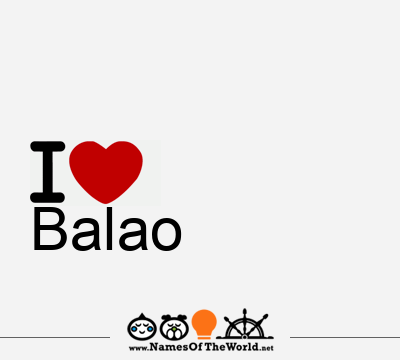 Download the image I love Balao and share it in your social profiles, web o blog! Do you want an image of the name Balao in arabic, chinese, gotic, etc. letters? Go to Picnames.com and create your own signature!